MedPAC endorsed the Three Nostrums in rapid succession between 2003 and 2008: It endorsed P4P for all providers (including individual doctors) in reports issued between 2003 and 2005; it was the first proponent of the ACO (it invented the term in 2006); and in 2008 MedPAC endorsed “medical homes.” MedPAC endorsed each of the Three Nostrums without a shred of evidence that they would work. In the wake of the “HMO backlash” of the late 1990s, chastened managed care proponents looked for less visible, and therefore less annoying, tactics than those pioneered by HMOs. Pay-for-performance was the first of these new tactics to emerge, and MedPAC was among the first to jump on the P4P bandwagon. Twelve years later, at its October 4, 2017 meeting, MedPAC’s staff urged the commissioners to reverse these positions as they applied to individual doctors. It wasn’t true, it turns out, that quality can be measured at the individual level, that “adequate risk adjustment is available,” and that “data …can be collected without undue burden.” The staff did not, however, remind commissioners that 12 years earlier MedPAC had told Congress just the opposite. The commission should have been alerted to that fact, and the commissioners should have investigated how their predecessors made such a serious mistake. Had the commissioners bothered to do that, they would have discovered that the 2005 decision to recommend P4P for individual physicians and other providers was adopted because General Motors, Leapfrog and other business and insurance industry groups were experimenting with P4P. The decision was simply a case of monkey see, monkey do. MedPAC admitted as much. Here is how MedPAC described their “research” on P4P in their June 2003 report: “Through our interviews we find that many purchasers and plans are experimenting with incentives for improving quality.” (p. 111) And in their March 2005 report they said this: “To determine whether it is feasible for Medicare to pay for performance we consulted with quality experts, providers, researchers, purchasers, CMS, the NQF, and accreditors. It is their hard work and enormous progress in improving quality measurement that provide the foundation for these recommendations.” (p. 184) Note that this “foundation” was not research, but gossip picked up from interviews with “experts” in business and agencies charged with promoting managed care. In the case of the ACO, MedPAC was the first monkey that others copied. The label “accountable care organization” was invented during a conversation between commissioners and Elliott Fisher, the “father of the ACO,” at a MedPAC meeting in 2006 following a presentation by Fisher on an algorithm he invented that lumped doctors and their patients arbitrarily with nearby hospitals. Several commissioners indicated they doubted Fisher’s vaguely defined groups were anything more than artificial constructs. Fisher had no answer for them. And most importantly, he had no evidence that even ACOs with some internal cohesion could cut costs and improve quality. Nevertheless, the commission went on to become a fervent advocate of the amorphous ACO concept. MedPAC’s endorsement of the equally amorphous PCMH in its June 2008 report to Congress was another evidence-free decision. The report identified several vague and unproven criteria for “homes,” including use of electronic medical records and email to communicate with patients, and it recommended that P4P be inflicted on PCMH doctors. The report implied that MedPAC’s endorsement was based on interviews with “experts,” but even that was not clear. What is clear is that MedPAC was once again making decisions about abstractly defined “reforms” based on folklore, not evidence. Thus, by the summer of 2008, MedPAC had notified Congress that lawmakers should impose upon the traditional Medicare program all three of the MACRA pillars – P4P, ACOs, and PCMH’s. Congress took that advice. It passed several bills instructing CMS to begin linking reimbursement to “performance” on both cost and quality (the Physician Group Practice Demonstration, an early test of the ACO, is one example) and in March 2015 Congress enacted MACRA, the managed care proponent’s dream legislation, to replace the failed Sustainable Growth Rate (SGR) formula. MedPAC’s wishes had come true. Why can’t MedPAC admit its mistakes? The commission didn’t do that. I submit the reason the commission refuses to admit error, and refuses to investigate how they commit errors, is that they understand that an honest investigation will force them to terminate two MedPAC traditions that minimize their accountability. The first of these is one I have already discussed – MedPAC’s deeply ingrained habit of endorsing “reforms” based on opinion as opposed to evidence. The second tradition I blame is MedPAC’s habit of articulating its proposed “reforms” as abstractly as possible and leaving to Congress and CMS the unpleasant task of making their evidence-free proposals work in the real world. Both traditions encourage intellectual laziness and lack of accountability. If you don’t have to think through the details of your abstract proposals because you think your job is merely to throw out grand ideas from 80,000 feet, and if you don’t have to present evidence for your proposal or explain away evidence that contradicts your proposal, it’s easier to persuade yourself that your proposal will work. It’s also easier to say, “It’s not my fault,” when CMS is unable to implement your grand idea down on Earth where doctors and patients live. You see how that works? You make statements about risk adjustment, the burden of collecting data, the role that IT could play in P4P and other conditions necessary for P4P to work that aren’t true or are grossly exaggerated and for which there is no evidence. Then, on the basis of this happy talk, you recommend P4P in the abstract, you throw out a few guiding principles (rewards and punishments should be dished out for both improvement from baseline and attaining some absolute thresholds, and the P4P scheme should be a zero-sum game so as not to increase the cost to Medicare). And then you declare that CMS can figure out the rest. An honest investigation by MedPAC of its erroneous endorsement of the notion that physician “merit” can be measured accurately at the individual physician level would force the commission to confront these two traditions – the habit of valuing opinion over evidence, and the habit of never articulating proposals clearly and concretely and leaving it to someone else to wrestle with the details. That would be more than just embarrassing. It would force MedPAC to terminate those dysfunctional traditions. And that in turn would make it very difficult for MedPAC to continue to promote the faith-based managed care diagnosis (“overuse” due to the fee-for-service system) and the faith-based managed care solution (antidoting the FFS incentive by shifting insurance risk to providers, and micromanaging them just in case shifting insurance risk doesn’t do the trick). Addiction to the managed care diagnosis and solution is, in the end, MedPAC’s fundamental problem. Until MedPAC’s staff and commissioners are ready to confront that addiction, they will resist recognizing the roles that disdain for evidence and love of abstraction play in maintaining that addiction. And until they explicitly condemn those traditions, they will not extricate themselves from the MACRA tar pit. Here are a few more details about MACRA. MACRA, enacted in 2015, will force all doctors who treat patients insured by Medicare’s traditional fee-for-service program to choose between two programs: A pay-for-performance scheme called the Merit-based Incentive Payment System (MIPS) that will allegedly measure the value (that is, both the cost and quality) of individual doctors; and a scheme called the “alternative payment model” (APM) program that relies on ACOs, “medical homes” and bundled payments. 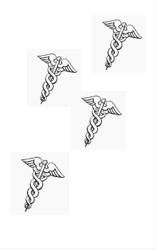 Doctors who remain in or refuse to join one or several of the APM programs will be given a score of somewhere between zero and 100 for their “total performance” as measured by hundreds of “quality” measures and a cost measure, and depending on their score they could receive up to a 9-percent increase or decrease in their Medicare payments. Glenn Hackbarth, “Commentary,” Medical Research and Review, 2006; 63 (Supplement) 118S. The four CMS ACO programs I’m referring to are the Physician Group Practice (PGP) Demonstration (2005 to 2010), the Pioneer program (2012 to 2016), the Medicare Shared Savings Program (a permanent program begun in 2012), and the NextGen program (begun in 2016.) Here is the abysmal track record of these four programs (the figures take only Medicare’s claims costs into account; they do not take into account the costs to ACOs of attempting to reduce Medicare’s claims costs nor the cost to CMS of running these complex programs): The PGP demo raised costs by 1.3 percent; the Pioneer and NextGen programs cut costs by a few tenths of a percent; and the MSSP program, by far the largest of the four, has increased costs by a few tenths of a percent. The latest report https://oig.hhs.gov/oei/reports/oei-02-15-00450.asp from the OIG, its deceptive title notwithstanding, indicates that the MSSP program raised Medicare’s costs by $300 million over the three years 2013 to 2015. CMS’s 2016 data for its NextGen ACOs indicate that they cut Medicare’s costs by seven-tenths of a percent that year (my calculations based on CMS data). For specific savings rates on CMS’s Pioneer and MSSP programs by year, see my comment here https://thehealthcareblog.com/blog/2017/01/28/simulated-acos-vs-real-world-acos/. MedPAC staff estimate the cost to ACOs of starting and running ACOs is 1 to 2 percent of their Medicare spending. This estimate seems low to me, but low as it is it swamps the tiny savings achieved by the Pioneer and NextGen programs and substantially raises the cost of the MSSP program.